I love coffee. I am sure I have mentioned this before, but it is worth repeating. I love coffee so much that I have sought help from paramedics for caffeine related anxiety attacks that have resulted in forced moderation. I love coffee so much that I eat chocolate dipped espresso beans for fun. My doctor said I should cut back on coffee and exercise more. I’ve been working on the proper coffee to bike ride ratio so that I don’t have to give up coffee completely. Wish me luck, I am not a math guru. Sometimes, I may come across as a coffee snob. I’m not someone who rushes out and mortgages the house on the trendy double whammy frothy megabuck cup of coffee. However, I am not a fan of the standard boiled potting soil brand of office coffee either. My favorite brands from the store are Melitta and Illy although I like to try other brands when I find them. I’m really not a coffee snob – if you offer me a cup of coffee, I will drink it. I just have my favorites. People are that way. We are out of my favorite coffee at the moment and It’s my fault, I did not write coffee on the grocery list. This morning, I have managed to scrape together a hybrid blend of two different flavored coffees I found in the cabinet. You know the kind of coffee I mean – the kind you get as a gift. I haven’t taken my first sip yet. The thought of some cinnamon/vanilla hybrid blend may cause a different form of anxiety. I will have to look up the number for 911 and have it ready – just in case. After a preemptive “bleh” my first sip was not good in the traditional sense of the word. 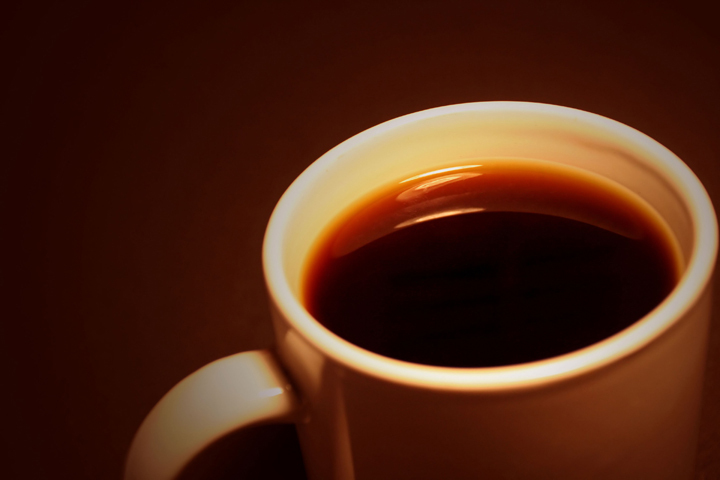 Your first cup of coffee in the morning should be, oddly enough, coffee flavored. So should your second. Most coffee should be coffee flavored. I’m old school – it’s how I roll. Sometimes, I like the fancy coffee drinks, but I could sip on a plain old cup of coffee all day – well, until I start hallucinating about death and drive to the local fire station to have my blood pressure checked. One cup short of that, and I’m good. A few years ago, I worked with an incredibly nice woman who knew I loved coffee. I was typically the first person into the office each morning (Note to former college professors: yes, this is me – the guy who always wore caps). When I arrived, I would make a nice pot of coffee and could often be two cups into my day before my next colleague joined me. However, the woman I mentioned would sometimes arrive before me and make coffee for us. Bless her heart. She loved flavored coffee. Back then, when I worked downtown, I could drink a cup of DCMZFDD Blend and then head out for an imaginary meeting and stop off at Edgar’s or another downtown coffee shop to cleanse my palate from the lukewarm putridity. Flavored coffee in the morning is evil because it makes you lie. I didn’t have a meeting, I was just trying to be nice and get out of the office. I was an enabler for this coffee behavior. I am sorry. I have not thought about my friend in a while but my lack of real hot bean juice this morning made me laugh thinking about those days. I work at home now, so “office coffee” is neither flavored nor boiled potting soil (usually). Today, I have had to start off my day with some unholy blend of two different flavored coffees. Coffee Karma gets its laugh. Maybe I will get dressed and run to Publix to stock the pantry and, perhaps, stop along the way to alert the medics to my behavior – just in case. Well, mister snobby britches, at least the coffee flavored coffee was out of your own cabinets. You’d detest the stuff I make at home… LOLOLFinally, maybe I can suggest a blood pressure machine for the house? haha.the BP is excellent these days. Moderation and meditation are the keys.I am running low again on the coffee. I may have to put up a paypal button like they have on scrappleface where people can donate a few cents toward a cup of coffee for me.